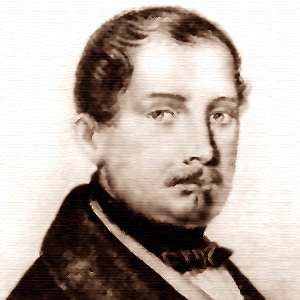 Temistocle Solera (25 December 1815 – 21 April 1878) was an Italian opera composer and librettist. 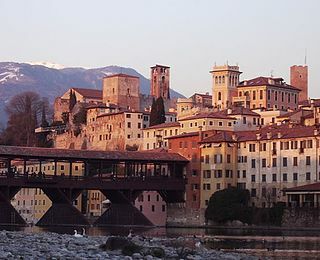 The University of Pavia is a university located in Pavia, Lombardy, Italy. It was founded in 1361 and has thirteen faculties. Teatro Real or simply El Real, as it is known colloquially, is a major opera house located in Madrid. Founded in 1818 and inaugurated on 19 November 1850, it closed in 1925 and reopened in 1966. Beginning in 1988 it underwent major refurbishing and renovation works and finally reopened in 1997 with a capacity of 1,746 seats. Today the Teatro Real opera is one of the great theaters of Europe hosting large productions involving leading international figures in opera singing, musical direction, stage direction and dance. The theater offers visitors guided tours in several languages, including the auditorium, stage, workshops and rehearsal rooms. Pelagius was a Visigothic nobleman who founded the Kingdom of Asturias, ruling it from 718 until his death. Through his victory at the Battle of Covadonga, he is credited with beginning the Reconquista, the Christian reconquest of the Iberian peninsula from the Moors. He established an independent Christian state in opposition to Moorish hegemony. Count Nicolò Gabrielli di Quercita was an Italian opera composer. Giuseppe Balducci was an Italian composer, primarily of operas. Born in Iesi, he spent most of his career in Naples and was one of the originators of the "salon opera" genre, the forerunner of chamber opera. 1 2 O'Grady, Dierdre. The last troubadours: poetic drama in Italian opera 1597-1887. (New York: Routledge, Chapman and Hall, 1991). 214.